Many savvy consumers will often look for ways to save money when making online purchases. When it comes to buying a watch, however, you might save more in the long run if you err on the side of caution. Many problems can occur If you buy from a non-authorized dealer. Even if the timepiece is authentic, it might not be covered by a factory warranty. This means that if the watch develops a fault, the repair could become a very costly affair, especially if the movement is mechanical. Ultimately there is a good reason why brands will only deal with certain retailers. The main reasons are reliability, integrity and honesty. That is why it is almost always better to use an authorised dealer rather than trying to save money. There are a lot of reputable retailers who sell online, but there are also many unscrupulous ones. These vendors will sell counterfeit products with non-genuine parts and in some cases will have no stock at all. This means an unsuspecting buyer might lose a lot of money in a bogus transaction. You should always research a vendor well and check recent feedback either on eBay or through the dealers website. Normally this will be a good indicator of whether they are authentic or fraudulent. Over the last few years, there has been an emergence of new dealers selling old stock at unbelievably low prices. These are usually timepieces that are discontinued lines or factory damaged. This means that these watches could have been sitting around for years and developed various defects. They also won’t come with genuine guarantees or factory stamped warranties. This will likely have an impact if you ever want to resell the watch. By saving money initially, you could end up losing money in the long run. For example, if a Swiss mechanical movement needs parts replacing or significant repairs it could cost in excess of $500. 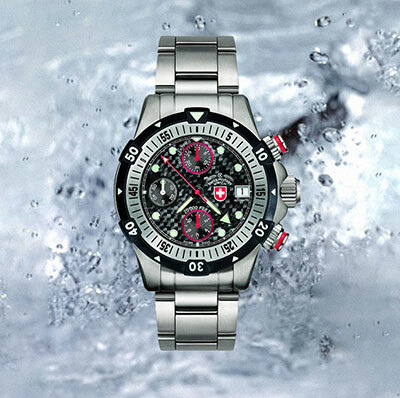 If you favour a particular brand, such as Deep Blue or CX Swiss Military, you should visit the company’s website. They will normally have a list of authorized dealers in each region. These retailers will have bought the watches directly and can offer solid guarantees. This means that if any unexpected issues arise they will be able to resolve them immediately. At the end of the day, a quality timepiece is a significant investment. It is not worth taking unnecessary risks.There's no need to take any risks when it comes to buying a watch online. At Watchpartners, we offer our customers multiple assurances of our pricing, quality and professionalism. Worldwide Price beat guarantee – If you can find a cheaper price from any authorised dealer, anywhere in the world, we'll beat it. 30-day money back guarantee – If you're not 100% satisfied with your watch, simply send it back to back to us for a full refund. Manufacturer warranties – We provide warranties that are backed by the manufacturer, not just us. 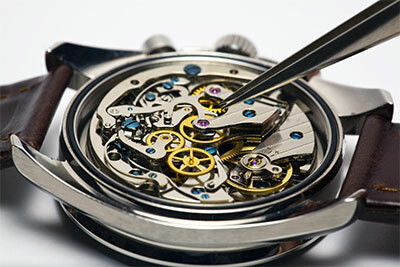 At Watchpartners, we pride ourselves on providing our customers with the best quality timepieces. We guarantee all our products with manufacturer warranties so you can enjoy peace of mind. Explore our range of premium timepieces here.